After graduating from the Ohio State University in May 2017, I began working at the Ohio Arts Council as the agency's communication strategist. In this role, I use a variety of multimedia tools to share the mission and vision of Ohio's state agency supporting arts and culture. My day-to-day duties include creating, scheduling, and publishing media releases and social media content. Additionally, I write and edit branded journalistic content that highlights the work of the OAC's constituents throughout the state. These articles are then shared in the monthly ArtsOhio newsletter, which I plan, edit, and design. I spent Summer 2016 as a Pulliam Fellow in Phoenix, Arizona, with The Arizona Republic. Each year, Gannett Co., Inc. selects a group of college juniors, seniors, and graduate students to work as members of a professional newsroom as part of a 10-week journalism fellowship program. During my time at The Republic, I reported on art, music, and local events for the features desk. I covered a variety of subjects, including profiles on Arizonan artists, concert reviews, and trending "stories of the day" that drew from social media posts and online reader engagement. 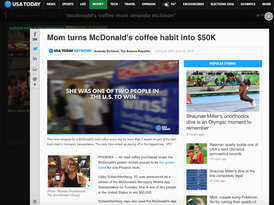 Several of the stories I wrote during the summer were shared national through the USA TODAY NETWORK of media publications. I most recently contributed to The Lantern, Ohio State's student newspaper, as the Patricia Boyer Miller Special Projects Editor. As the first student to hold this title, I used data analysis and enterprise reporting skills to present long-form, investigative pieces to Ohio State's more than 60,000 students, the university's thousands of faculty and staff members, and residents of the Columbus community. Prior to taking on this role, I served as Editor-in-Chief for one year as a junior. As a student leader, I directed a staff of more than 20 student editors as we worked to produce three print issues a week. I also aided in breaking news coverage and made editorial decisions regarding the online content published daily. ​I have written more than 150 articles that have been published both in print and online. In July 2016, I won first place in the Society of Professional Journalists "Ohio's Best Journalism Awards" College Opinion Writing category for my op-ed about life as a Chinese adoptee. Following my graduation from Ohio State in May 2017, I was honored to learn that my investigative article about the role of part-time employees in higher education won second place in the Society of Professional Journalists "Ohio's Best Journalism Awards" College News Writing category. My work for The Lantern had previously been awarded third-place recognition for Arts and Entertainment reporting by the Ohio Newspaper Association in February 2015. During my final semester at Ohio State, I joined the CityScene Media Group team as an editorial intern. For 16 weeks, I contributed to CityScene's family of local publications, as well as the weekend newsletter. Following my time as an intern, I continued to freelance for CityScene, writing a variety of local profiles and features. 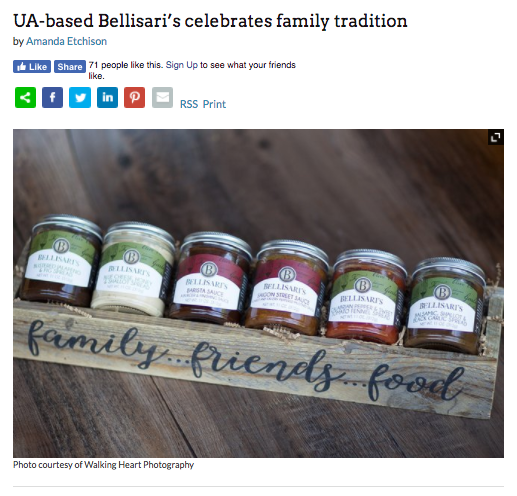 One of my articles was featured as the cover story of Pickerington Magazine, ​while others were prominently featured online and on social media. 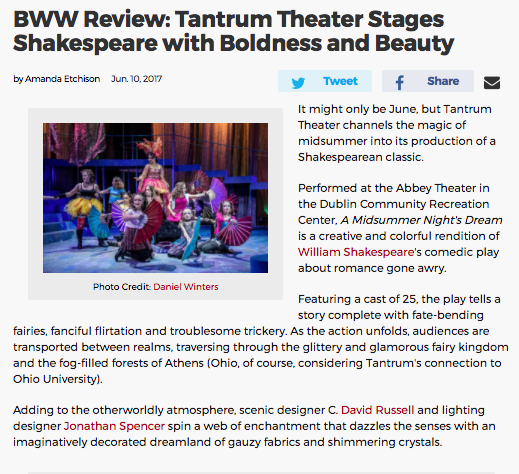 In August 2014, I joined the Columbus, Ohio BroadwayWorld.com team as a Contributing Editor. 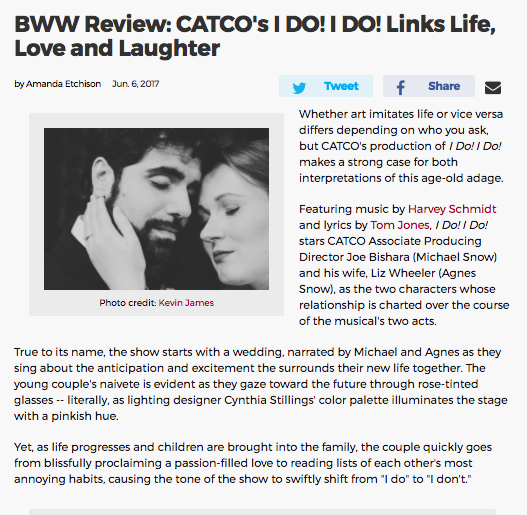 I researched, wrote preview articles and reviewed various local performances throughout the year for publication on the BroadwayWorld.com website. 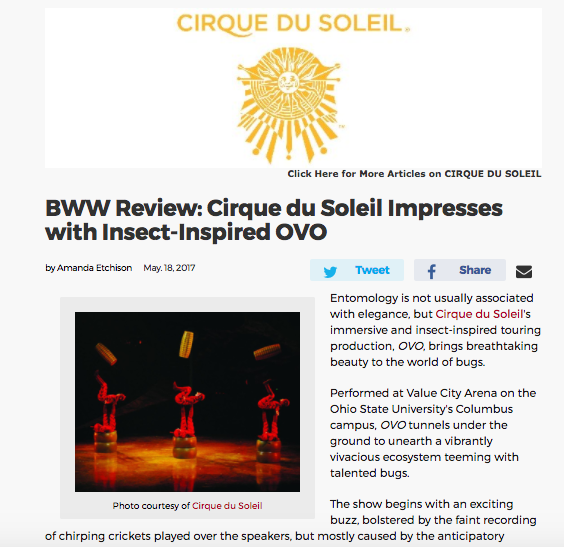 Contributing content to this website, which is updated independently by reporters and editors, provided an opportunity for me to refine my writing and editing skills. From June 2013 - August 2015, I spent my summers as an Events Assistant for VIP and Sponsor Relations. In this position within the City of Dublin Events Administration, I assisted in the organization and planning of major city events, including the City of Dublin Independence Day Celebration, St. Patrick's Day Parade and the Dublin Irish Festival. I recorded, organized and fulfilled sponsorship and VIP packages for the Dublin Irish Festival and wrote and edited event scripts, internal communication vehicles, and print and media releases for city parades and concerts. In addition to working with sponsors and VIPs at the Dublin Irish Festival, I contributed to the Festival's social media accounts prior to, during and after the event. I took photos, crafted posts and marketed events to share with followers of the Festival's official Facebook, Twitter and Instagram accounts. In addition to my long-term positions at various news publications, I have also contributed to several other projects. 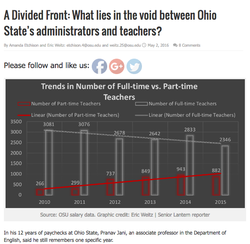 From blog posts to my work on a statewide audit of Ohio's public universities, more of my work can be viewed at the link below.